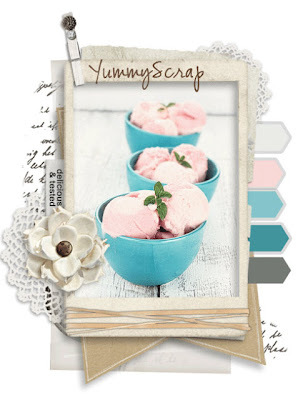 It was just yesterday that I saw the new color challenge over at Scrapfriends and i was so excited that I did the page in about half and hour (not counting all the little things added after). The picture I used is one of my baby cousin (now about twelve) about seven or eight years ago. The colors for this challenge are just gorgeous but I found it difficult to find a picture to match. I might try again with a different picture later :P that's how much I love this color scheme. These colors are just so cute and adorable! Raa! Just like the pic of my cousin saying grace. The words underneath are the lyrics to 'the thankfulness song' by veggietales as it seemed relevant and is one of my favorites. I look forward to seeing how everybody else has used these colors!